I introduced you the yarn I’m knitting now last week. Now it’s time for the design! Because this yarn has a strong caracther, don’t need too much pattern. I tought on playing only the placement of the increases. The shawl starts as a “normal triangular”. After 10 repeats I moved the yo-s away from the middle. Then after 10 repeats again I changed them again and again. Sometimes I added more increases or taken some, and also added some yo-s with decreases, what gives a line without making the shawl bigger. And where are those lines going? I have no idea! 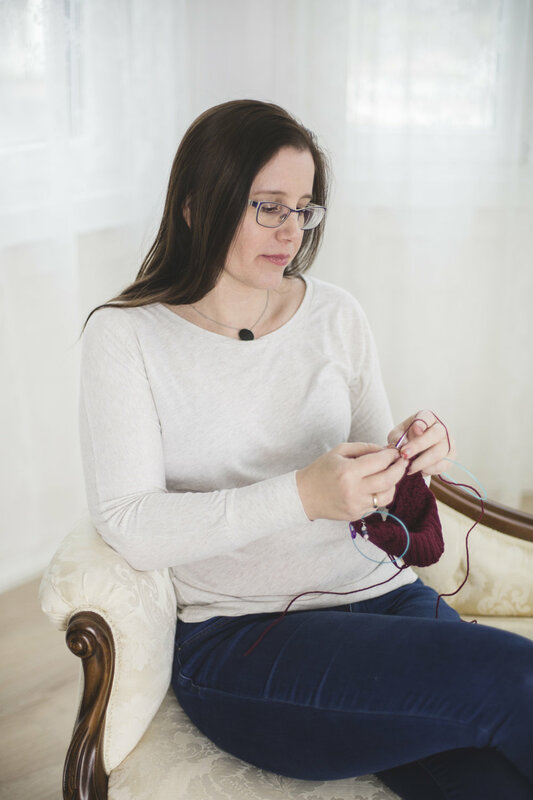 I enjoy to knit without a long term plan, just leave myself to make a decision, when the time has come! Newer PostOrganize your stash! What do you have?